The European Day of DotNetNuke will take place on MAy, 28th in Paris, which is approaching quickly - and so the call for sessions for the European Day of DotNetNuke will be closed this Friday. Allthough we already received quite a number of really good sessions, we are still looking for more, to provide the best content about DotNetNuke available in Europe. If you are comfortable speaking before a crowd and you feel you have something to share with fellow DotNetNukers, hurry up now to submit your session proposals on www.dayofdotnetnuke.eu/Speakers.aspx. Become selected to present at this fantastic event and get a lot of exposure before the pan-European DotNetNuke community and get in touch with most experienced DNN professionals in Europe. For details, please check out the speakers page on www.dayofdotnetnuke.eu. We are working heavily to prepare a great event for you, including a get together party on the evening before and a great day with many presentations, discussions and options for exchange of ideas with developers, core team members, DotNetNuke professionals and users from all over Europe. We expect to update the agenda within the next days with a couple of details. 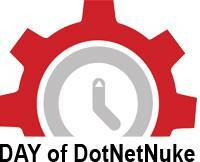 Look forward to a spendid Event - join us at the European Day of DotNetNuke on May, 28th in Paris!